Marble tiles are a very popular choice of people, although it’s an expensive investment but a worthy one. These tiles give new look to a home and fill it with new colours, the shiny and neat floor is a glamorous thing in the house. However, if you don’t maintain the tiles, all the beauty will go away in no time. The regular cleaning and care are all it takes to keep its true essence. Besides, cleaning regularly, polishing is one of the option to keep the tiles new. For that, you need to take professionals help, in this article you’ll read the benefits of polished tiles. 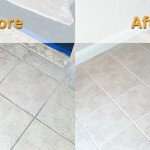 Marble is easy to clean, any stain can be easily removed. Just a wipe and the stain go whoosh, however, some stains like rust and grout are impossible to remove. Marble is made from calcium bicarbonate, which is why some stains stick to its surface. To clean tough stain one needs equipment and appropriate cleaning agents. Professionals are used to dealing with these kinds of stains, marble polishing is one of the best ways to deal with any kind of stains. Professionals also remove etch mark while polishing the tiles. These etch mark occurs when the soft protective layer of tile dissolves when coming in contact with some acidic or harsh substance. 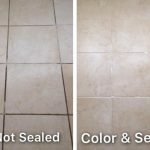 Some chemical present in commercial products also damages the tile. Professionals expertise in dealing with these marks, these marks damages the beauty of tiles. But, hiring professionals for polishing tiles is the best thing you can do with your tiles. After removal of etch marks your tile will look new and shine, because of etching marks tiles loses the shine. By choosing professionals you save time and energy and most importantly professionals give satisfactory results with zero error. The certified technicians who handle equipment are skilled and complete their work with 100% results. But if you want to do the polishing by yourself, we suggest you that, it won’t provide you with satisfactory results. A smooth and clean marble floor can only be possible if you hire a professional. 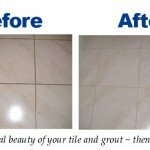 Fresh Tile Cleaning is a trusted marble polishing service in Melbourne, our team is expertise in tile and floor repairing, polishing and cleaning. We have built the reputation among our clients for providing good results. Call on our numbers and give us a chance to serve you.